Sencha Ryokucha Tsumi (Japan) - 3 oz. Contains high antioxidant levels vs 5-6% for mass-market teas. Character: A distinctive rich vegetative taste. This Sencha is an early-April, first crop sencha harvested from leaves in the Kagoshima region. 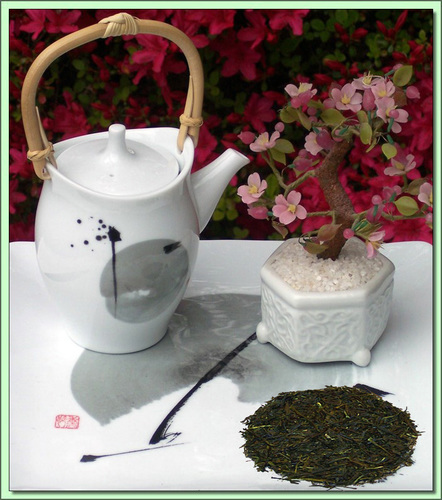 The growing climate produces a deep rich aroma and taste and a bright green tea color. The first crop of the four annual harvests is considered best when tea leaves are younger and softer. Produced under ISO 14001 Certified Environmental Management Standards.